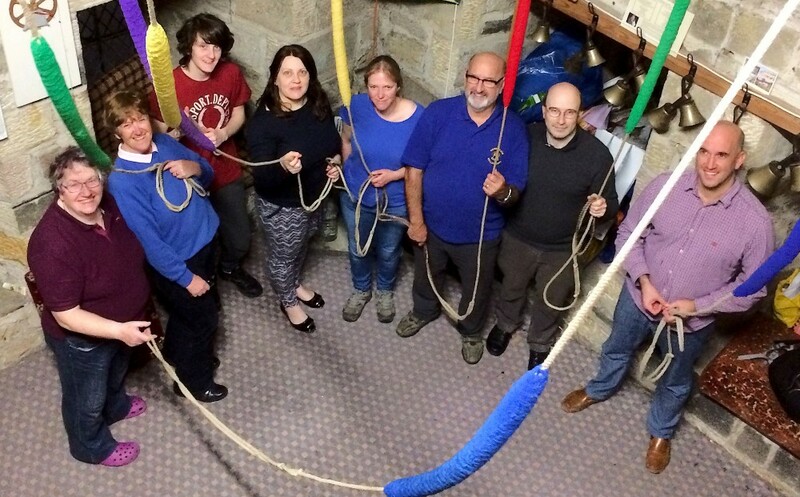 St Peter’s is one of two churches in Harrogate to have a full ring of bells, and we are the only church in Yorkshire to ring for three services on Sunday. There are 8 bells in F# major, with a 12½ cwt tenor - a Taylor ring - hung in 1963. Practice night is on Friday from 7:00 pm till 9:00 pm, with a break for tea or coffee at 8:00 pm. Sunday service ringing is at 9:05 am, 10:30 am and 5:45 pm. There are 56 steps to the ringing chamber, including a spiral staircase and open stairs. Access to the bells is by ladders, and then by wrought-iron spiral staircase to the top of the tower. From the top there is the best view for miles around – on a fine morning we can see York Minster. We are fortunate in being able to welcome many visitors who come to the town for conferences or holidays, and who join us for practice and Sunday ringing. For more information contact Hannah Beck on 01423 564942 or send her an email via the Parish Office.